In this review, we present the progress in design and applications of fluorescent membrane probes, based on derivatives of diaryloxazole and diaryloxadiazole. 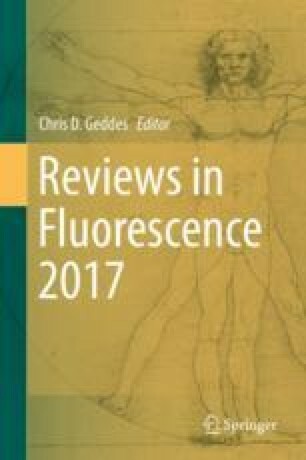 We illustrate the use of the mentioned fluorescent probes for the spectroscopic visualization of pathological changes in human platelet membranes during atherosclerosis and in membranes of intestinal enterocytes of rats in the course of chronic carrageenan-induced gastroenterocolitis. Also, the use of the fluorescent probes for monitoring of the changes in physico-chemical properties of biological membranes under the action of volatile organic solvents, low molecular weight cryoprotectants and weak constant magnetic field is discussed. We are grateful to Prof. A.O. Doroshenko for gifting us with supplies of derivatives of diaryloxazole and diaryloxadiazole; to M.D. I.V. Reminyak for valuable comments and for supplying us with the samples of blood platelets from the patients and from healthy volunteers; to M.D. A.S. Tkachenko for valuable comments and for supplying us with the samples of intestinal enterocytes of rats; and also to Dr. D.A. Bevziuk for supplying us with the samples of the cells of olfactory analyzer of rats and for valuable comments.